New Worship Gear to Start the Year! 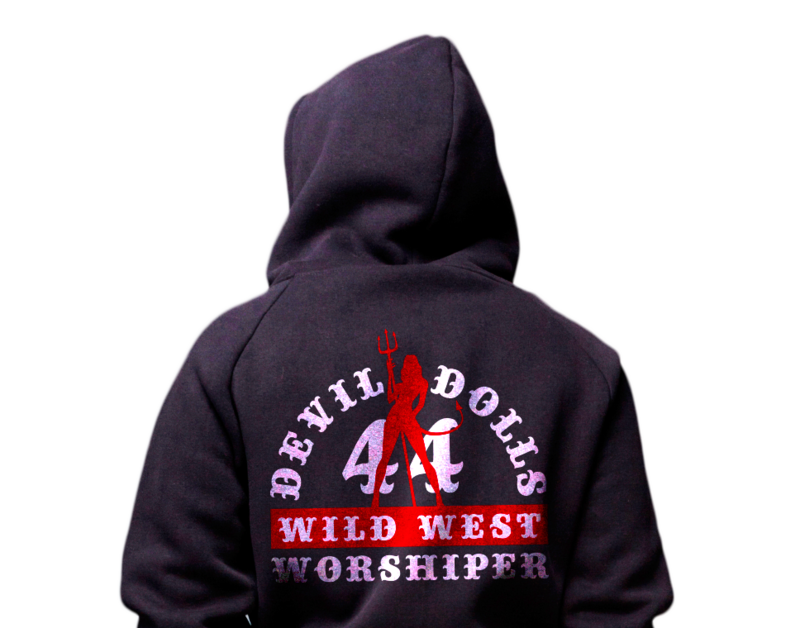 The Devil Dolls MC is an all-female biker sisterhood that promotes and supports the empowerment of women. This organization prides itself on having a very diverse membership. From old-school bikers, rebels and rockers to community activists, moms and professionals, the Devil Dolls MC is a family with a common love for riding motorcycles. They are solid members of the MC Community and regularly participate in and donate to various benefits, fund raisers and other types of philanthropic-based MC events. We are a nomad charter known as the “Wild West” with members from Washington to Southern California and everywhere in between. We also have a sister charter in Sweden. Although we started out as a “Harley Only” club, we currently welcome Triumph, BSA, BMW, Norton and other USA or European bikes. No mopeds or scooters. We are a 3-piece MC. We have membership fees, dues, fines, and church. We are not a riding or social club. We are bikers, and we live by the code. If you are interested in becoming a member of an existing charter, please fill out our online contact form.